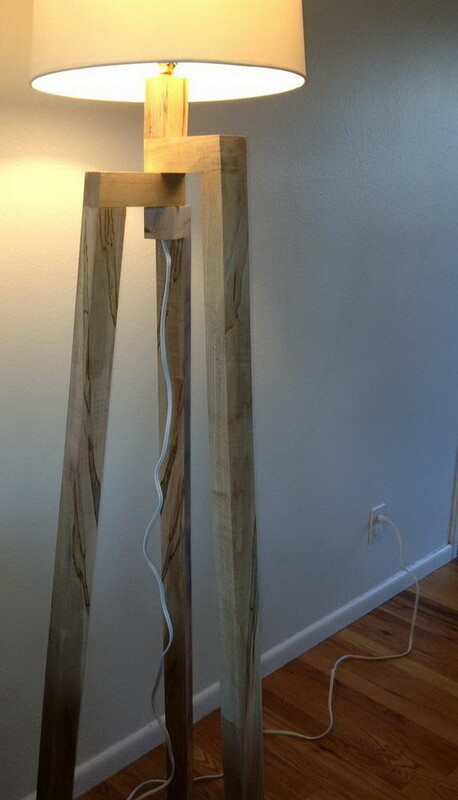 Spruce up any living area with a diy Wooden Floor Lamp. Here is what we did. We found an expensive lamp online and decided to build the same one ourselves. The lamp we chose was $400 dollars online. We built ours for around $80 dollars. The wood can be found at any home improvement store along with all the pieces for the lighting of the lamp. This is the lamp we found online for $400. Here is how it is explained on the website – “Traditional woodworking joinery takes on a different light when slender walnut legs pirouette open to form one well-poised base. 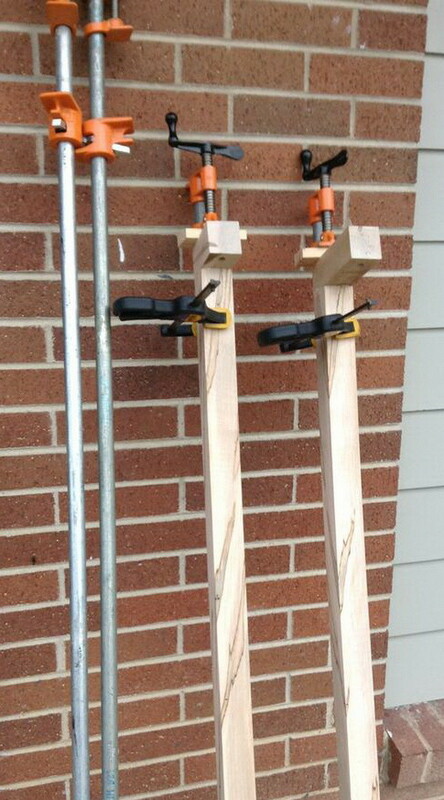 We cut the wood to size and then glued it with vises holding it in place. The wood we chose is called Wormy soft maple. The base is now ready to be put together. We stained the wood with a walnut wood stain. Here is the finished product with the lamp shade that looks just like the one online. 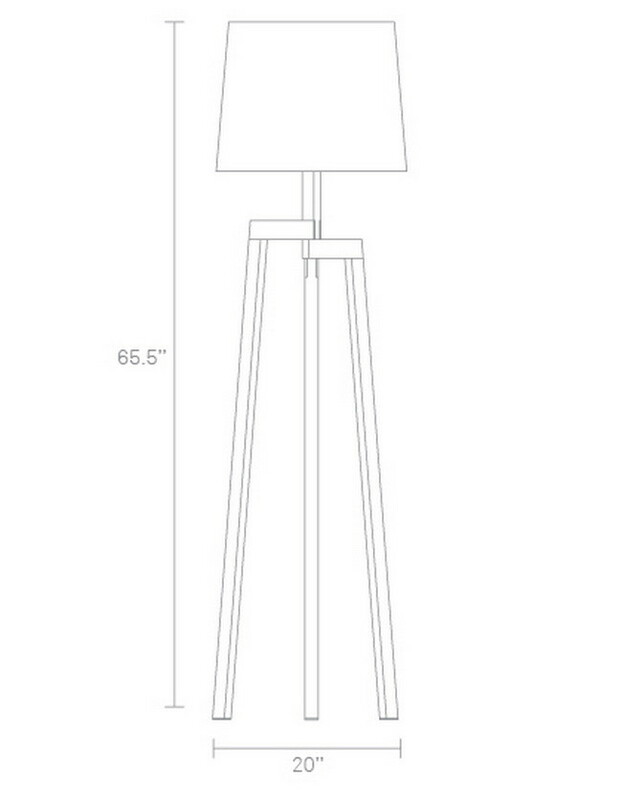 Designer Wooden Floor Lamp Dimensions. Guys this is awesome…sadly, the instructions are not! Can you give more instructions about drilling the hole for the cord and how long your pieces were? Also how you installed the light kit? Thank you! I love it so much. Please give more details on the dimension of the legs and how to attache them. Decent visual design, but suffers from the hideous cord – even for $400. 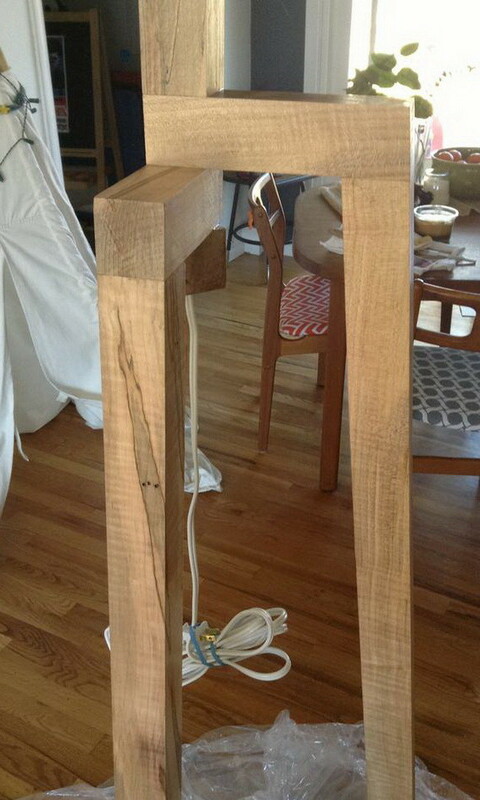 If you have good woodworking skills your plan should be to run the cord up through one of the legs. If might mean some redesign in how one or all are constructed, but the result could be quite remarkable. I was using a 3′ square dowel (1.25 diameter) but it was a little short for what I need. 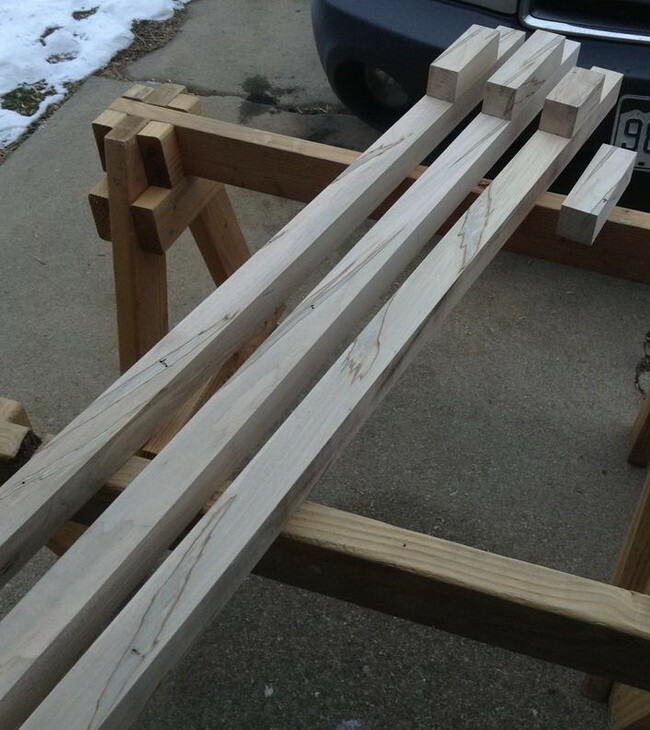 I’m thinking of bumping it up to around 4.5′ to 5′ and probably a thicker dowel size. 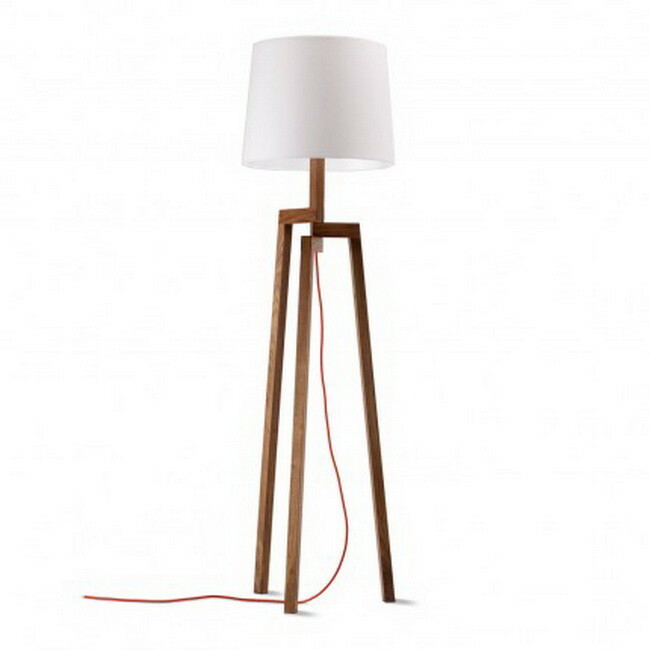 I’m also trying to build this lamp but having trouble with the angle of the legs. What angle did you cut the legs? The angle of the legs will vary depending on the overall height of your lamp. Let us know the height of your lamp and we can guide you from there. Feel free to send pictures of your project to info (at) removeandreplace.com. Hi. Would you be able to provide the dimensions of the legs in this project? Are you using 2×2’s? Thanks!